The Montclair Egg Shop opened in 1974, the fifth in a dynasty of seven egg shops throughout Oakland and Berkeley, and now remains the last one standing, the signature egg shop masterminded by Ed Baker, who’s never had a cup of coffee in his life. When Ed established his first shop in downtown Oakland in 1963 (called The Egg Shop and Apple Press), he considered leaving coffee off the menu, (preferring to feature hot spiced cider instead), until an associate suggested he was crazy. That may be; yet he agreed about the coffee. Today at the Montclair Egg Shop, we proudly serve Peet’s coffee, along with a variety of espresso drinks. In more than 44 years as a neighborhood landmark, the Montclair Egg Shop has changed hands once. When Ed put it up for sale in 2000, he wasn’t planning to let it go to just anyone. “This place is a tailor-made suit,” he said in an article for the Montclarion, perhaps referring to the striking interior of brick and wood, the model trains on display, the poetry hand-painted along the walls, and other unique décor, peculiar to Ed. Eventually, he sold it to then-manager Miguel Barron, a business student at SF State who started washing dishes at the egg shop as a teenager. Open seven days a week for breakfast and lunch, the Montclair Egg Shop expanded the menu to include rotating specials (from Polenta to Chipotle Benedict), Mexican options (such as Breakfast Tacos and Chilaquiles), and sandwiches, crepes and salads. Times have changed since 1974, and we now serve beer, wine, prosecco mimosas, and Bloody Marys every day. All this might have Ed turning over in his grave, except at 85 years old he’s not dead yet. He’s one of many longtime regulars who come to eat at the popular joint. And the staff is almost as loyal as the customers. 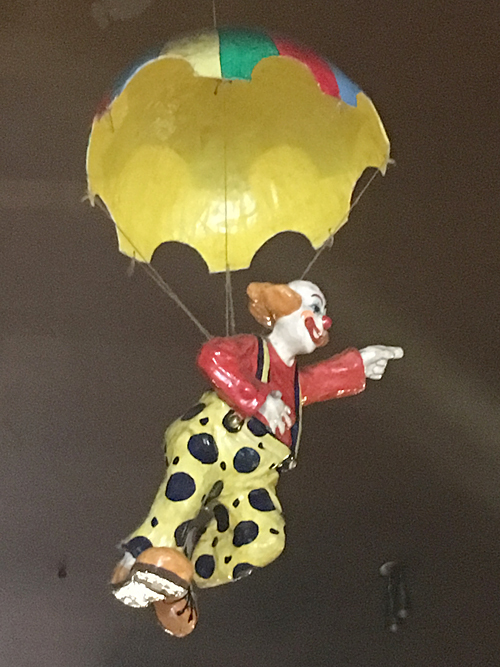 Some employees have been hanging around for decades. If we don’t know your name, we will. Meantime, we’re likely to remember your order. 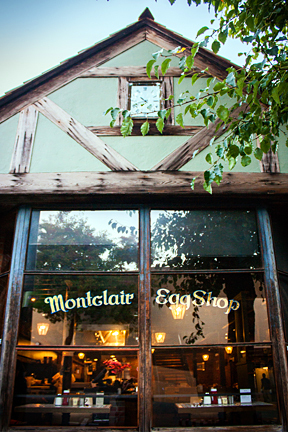 The Montclair Egg Shop welcomes you: whether you’re on a family outing or a business meeting; whether you’re a local or just passing through; whether you drink coffee, or not. Our Menus: Something For Everyone! Try our house-made corned beef hash, a Belgian waffle with fresh strawberries and whipped cream, or go with a classic BLT. © 2019 Montclair Egg Shop. All Rights Reserved.